FC Barcelona and Ronaldinho have reached an agreement whereby the Brazilian will become a Club ambassador and representative at various events and activities over the coming years. Ronaldinho will also form part of the Legends project, a team of former players who, through matches around the world, will help to globalise the Barça brand and its values, and will take part in clinics, training sessions and institutional events, among other activities organised by the Club. Through FCBEscola, FC Barcelona and Ronaldinho’s football academies will be seeking different ways to collaborate both in terms of the brand and possible associations with the same. The player will also appear in the opening and closing ceremonies at some schools and take part in activities in which he will share his experience in educational talks. 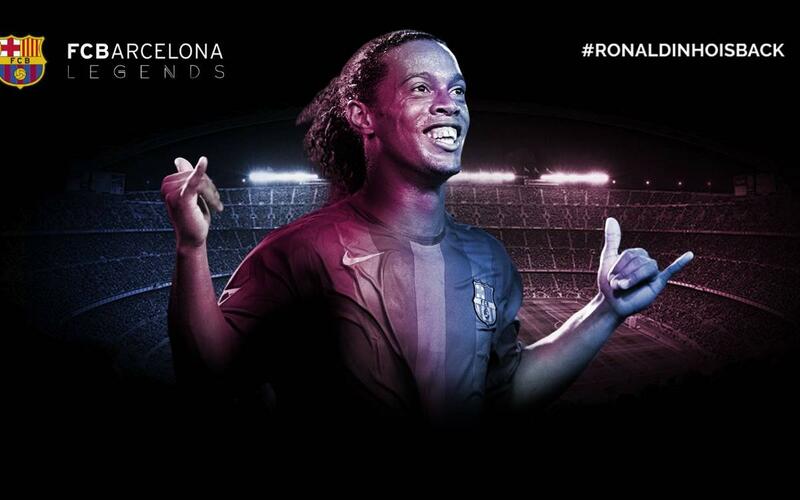 Ronaldinho will also take part in FC Barcelona Foundation events related to UNICEF. The Masia 360 project will be another one of the Club projects where the Brazilian will be present, helping with the training and coaching of the athletes involved. The agreement will be signed on Friday at 5.30pm CET at the Camp Nou directors’ box with the presence of Ronaldinho and president Josep Maria Bartomeu. Then, the media will be able to take photos of the Brazilian star at the club museum.